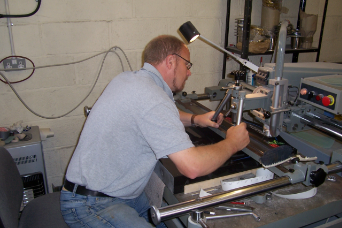 Christopher is the founder of Cleevely memorials, he has over 36 years' experience in the memorial trade, he is a skilled traditional hand carving memorial mason. He can also carve lettering by either the incimar or sandblast machine, giving everyone the choice of lettering available, at a cost they can afford. Into each memorial, however it is carved, goes a great deal of love and respect. 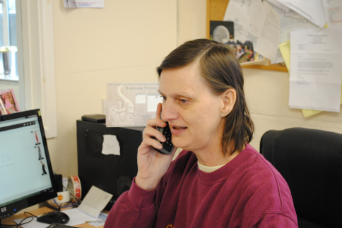 Caroline has always helped with the business around our growing family but joined the business full time in 2003, she has a talent at helping customers with the choices that they need to make regarding a memorial, her help and advice is free and without obligation. Caroline understands that this is a difficult time for people and feels the job is as much about being there for somebody to talk to as it is about selling a memorial. 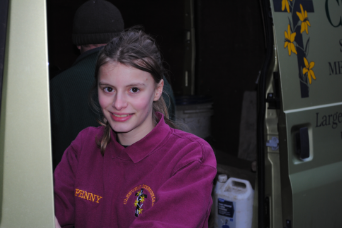 Penny helps us when she is on school holidays wherever she can, she enjoys helping her dad in the workshop but equally enjoys helping in the office and will have a go at whatever needs doing. 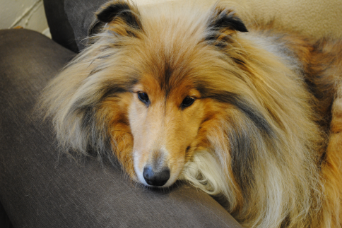 Megan is our family pet, she has been coming to work since she was 7 weeks old. Most people find her a comfort to have around, but for the people who don't she is briskly removed to another room. 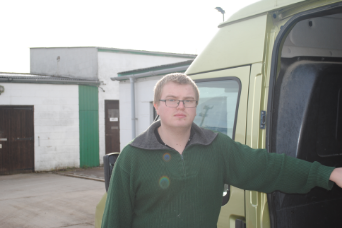 Dean is our eldest Son, he works for us part time, and he is capable of completing most aspects of the memorial trade. He completes most of the sandblast and renovation work. We hope that he will one day take over the company. 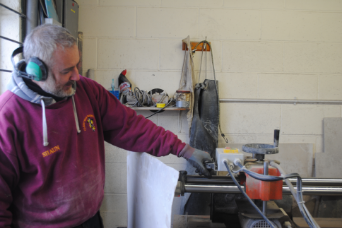 Shaun joined us last year, he has over 20 years’ experience in the memorial trade and helps us with sandblasting and fixing memorials.